La piazza, or town square, is the only place to be on New Year’s Eve in Italy, when the nation celebrates the Festa di San Silvestro. You’ll pass couples and families hugging bottles of sparkling wine in search of the best spot to watch the firework display that is a feature of most civic celebrations, before the dancing, either outdoors or in a nearby discotheque, begins in earnest. Of course, all that excitement is guaranteed to make anyone feel famished come the dawn of the first day of the new year, so whether eating in the family home or taking in one of the set menus offered by local hotels and restaurants, the accent is on a generous number of courses that follow the traditional procession from antipasti through to dolci. Whatever the individual choices made for each course, there can really only be one star of the show, and that is the secondo of lenticchie (lentils) and cotechino, or pork sausage wrapped in a rind of snout and jowl. This is winter food at its most basic, and best. The lentils have a symbolic role to play in the festive dish, their shape representing coins and, therefore, the hope that the forthcoming 12 months will be bountiful for each and every family member. Cotechino is closely associated with the town of Modena, in the region of Emilia Romagna, and sausages produced here by the consorzio carry the IGP (Indicazione Geografica Protetta) seal of quality. It can be purchased ready cooked (cotto), but for the best results, it is better to buy the fresh variety which should be gently boiled for a period of four hours, then served hot. Cooking the lentils requires a soffritto of onions and celery softened in olive oil. Although not strictly traditional, you can supplement these with carrots and some garlic. Once the base vegetables are cooked, add the lentils and pour in as much boiling water as you need to cover them. Place the pan lid on and simmer, checking periodically and topping up with extra water when the lentils have absorbed most of the cooking liquor. For extra flavour, supplement the liquor with a ladle or two of the liquid in which the cotechino is bathing. 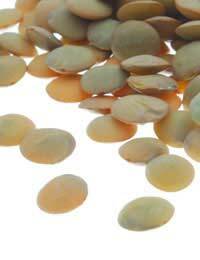 One rule to remember is to never add salt to the lentils while they are cooking, otherwise they will become tough. Once the lentils are nicely softened and have absorbed all the liquor, season to taste. The more adventurous may want to fold through some chopped herbs such as flat-leaf parsley and perhaps a little lemon thyme, but this is not essential. In terms of presentation, don’t be precious. This is a rustic dish that is best served as such, so take a good heaped ladle of the lentils and spread on the plate or in the serving bowl, and then place slices of the freshly cut cotechino on top so that the meat juices ooze into the bed of vegetables. Then arm everyone with a knife and fork, and enjoy. The lentils may or may not prove a good-luck charm over the months ahead, but after perhaps one or two glasses too many of celebratory spumante the night before, they’ll provide a warm and comforting start to the new year.